We were staying locally in Coniston therefore we could walk from the door today. We were on the go from 0730 and it was already extremely hot. The path out of Coniston crosses Church Beck at the Miners Bridge and there then follows a long but enjoyable walk via Lad Stones onto Wetherlam. Throughout the entire walk the views were fantastic and wide ranging. Leaving Wetherlam you are then faced with a drop in height to Swirl Hawse then an ascent of Prison Band before reaching the summit of Swirl How. From here Great Carrs is clearly visible and there is then a simple stroll around the crescent path of Top of Broad Slack before reaching the summit. Just before the summit is a memorial to a Canadian Bomber which crashed here in 1944. From Great Carrs there is a good path over to Grey Friar and from this summit we returned on the original path back to Great Carrs but after a short while another path leaves the main path and makes its way in an arc over to Swirl Band and down to Levers Hawse. There is then a short pull up to the summit of Brim Fell with its huge Cairn. From the Cairn there is a superb view of Dow Crag and The Old Man of Coniston ahead and we could already see the crowds on both summits. 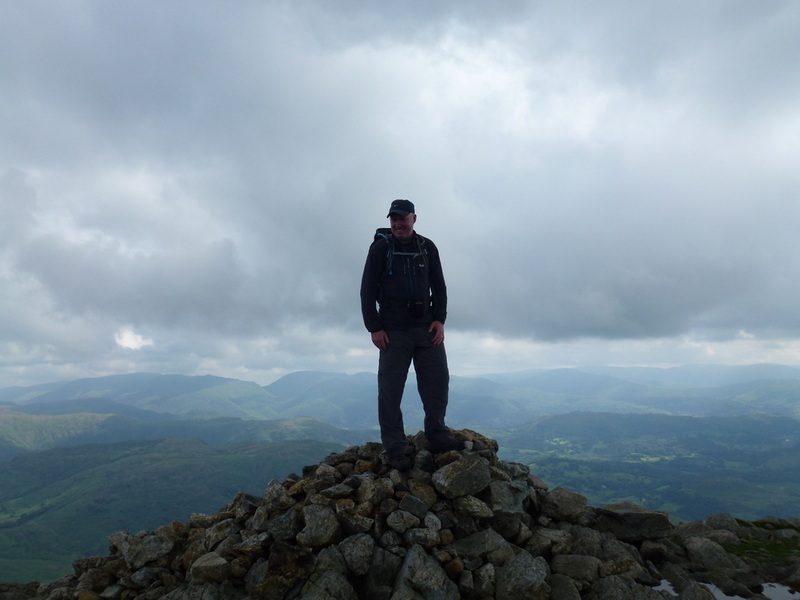 The walk to The Old Man is a delight and we soon arrived at the large Cairn and Trig Point and waited our turn while people took their photographs and marvelled in their achievement of climbing up from Coniston. 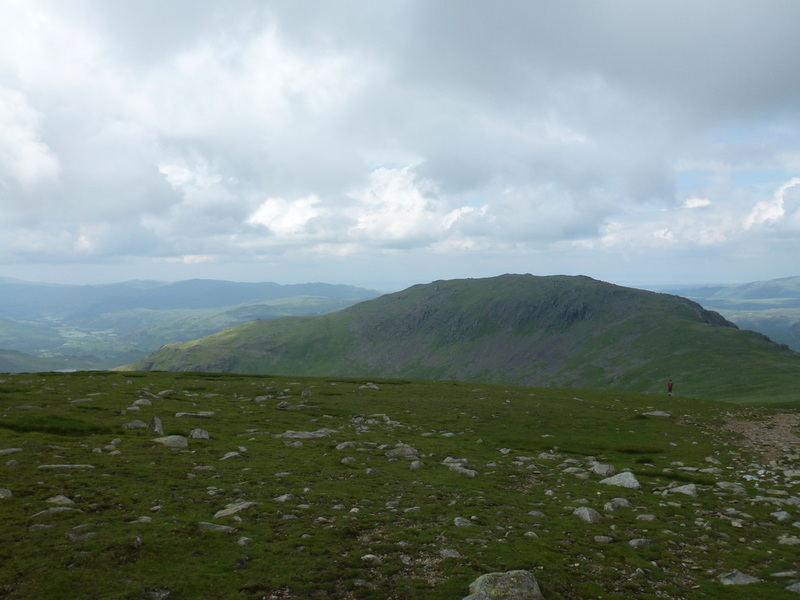 We then made our way down to Goats Hawse to negotiate the ascent up to Dow Crag and in the last few yards there is a little bit of working out which is the best route to take to the summit although the scrambling is not too difficult. 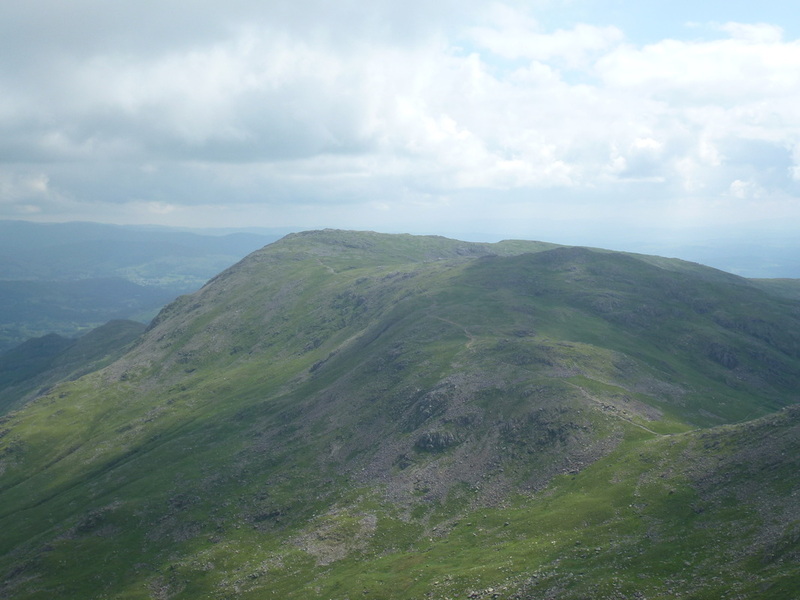 From Dow Crag there is a good ridge walk over Buck Pike and Brown Pike before making the descent down to the Walna Scar Road. 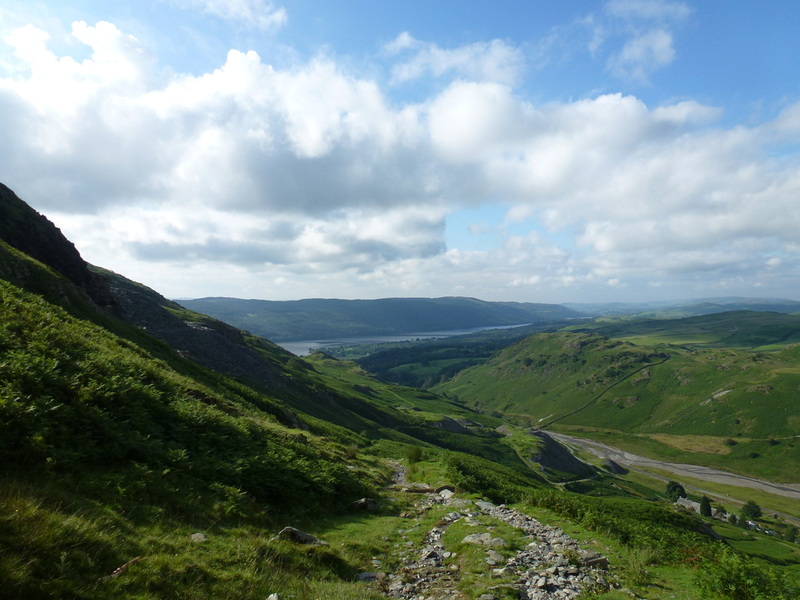 On a good path, there is now a long trudge back to Coniston but the views are with you all the way. We took our time today as this is a walk to really savour but should be done when you know the visibility is going to be clear. Until The Old Man of Coniston we hardly saw a soul and there is a feeling of solitude up on the tops for most of the walk. Nine hours of pure bliss topped off with a nice cool drink in The Sun Hotel followed by supper in The Crown.